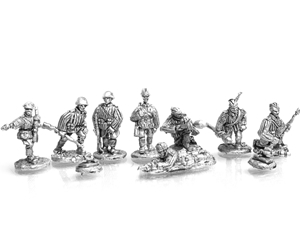 Command the final attack on Berlin with these Guards troops. Dressed in padded jackets. Also includes 4 man tank hunting team.